August Roettger completed this structure for two businesses. 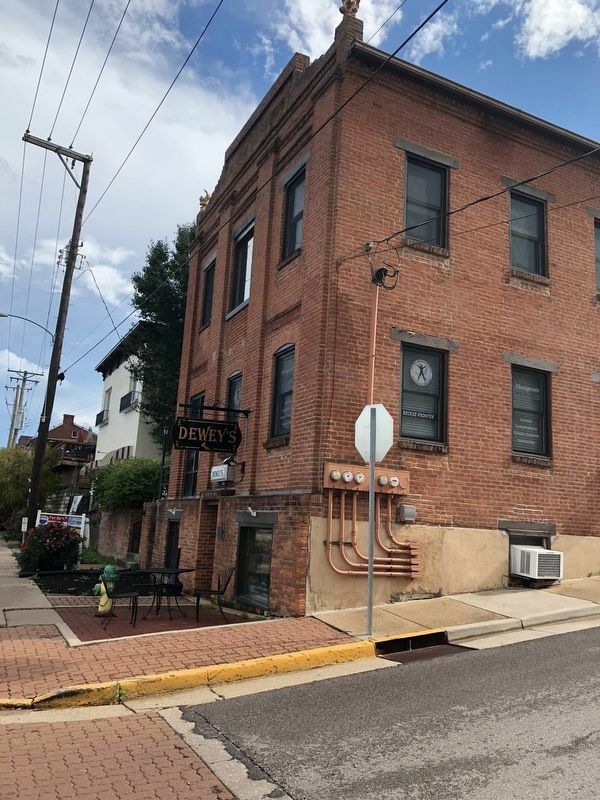 He had a woodworking shop in the lower level and his wife operated an inn on the upper floors. Local architect Otto Brix is credited with the building design. Location. 38° 33.656′ N, 91° 0.701′ W. Marker is in Washington, Missouri, in Franklin County. Marker is on West Front Street east of Oak Street, on the right when traveling east. Touch for map. Marker is at or near this postal address: 2 West Front Street, Washington MO 63090, United States of America. Touch for directions. Other nearby markers. At least 8 other markers are within walking distance of this marker. John Clayton Inn (within shouting distance of this marker); Bank of Washington (within shouting distance of this marker); Frank Joerden Building (about 300 feet away, measured in a direct line); The Grothaus Building (about 300 feet away); Bertelsmann Building (about 300 feet away); Zachariah Foss House (about 300 feet away); Droege's Mercantile Food Store (about 300 feet away); Edward G. Busch Building (about 300 feet away). Touch for a list and map of all markers in Washington. More. 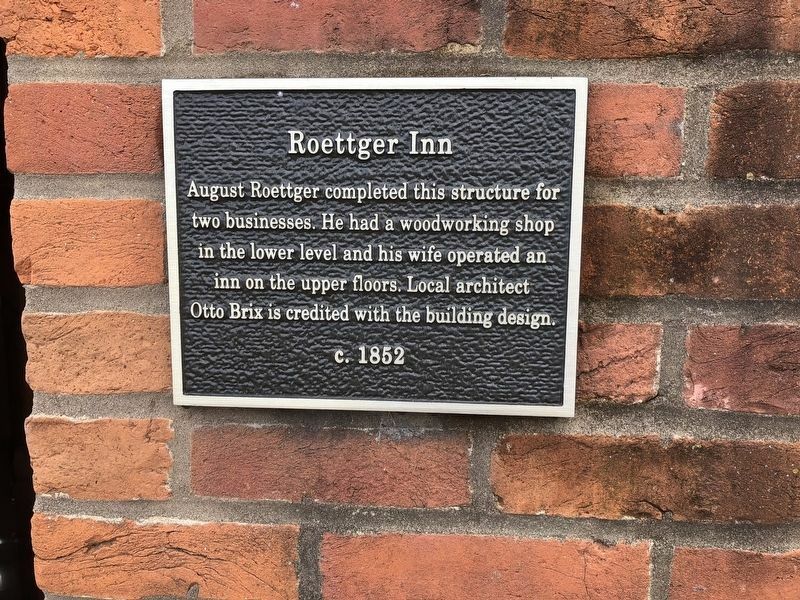 Search the internet for Roettger Inn. Credits. This page was last revised on March 19, 2019. This page originally submitted on October 7, 2018, by Devry Becker Jones of Washington, District of Columbia. This page has been viewed 23 times since then and 6 times this year. Photos: 1, 2. submitted on October 7, 2018, by Devry Becker Jones of Washington, District of Columbia. • Andrew Ruppenstein was the editor who published this page.